Why Does Ernest T. Make You Laugh? He simply had ingenious comedic timing! His characters were well thought out and complete. Not only with Ernest T. but with any character he played. I think it is called professional and he was one of the best ever. David, I totally agree. By the way, David Browning is also an amazing talent. He’s a wonderful actor, and Howard respected the heck out of him. David recently completed acting in “Return of the Killer Shrews” starring James Best. I’m looking forward to finding out about these Shrews 🙂 Congratulations David! Your dad help make the Andy Griffith show so great. I really loved the way he played Ernest T. Bass. I also loved him in a Twilight Zone episode he was in. He is such a wonderful actor and I could watch him all day. He brought so much laughter into my life and I trully miss seeing more of him. Ernest was a very unpredictable character, right when you thought you figured him out, he went the other way. His energy and humor was infectious, you can’t help but laugh when he breaks a window,dances or sings. Although Ernest is on only a handfull of episodes, his presence makes you feel that he’s a regular character on the show, thank goodness for reruns and dvd’s. He was lovable yet offensive, you wanted him to get arrested, yet you wanted him to escape, and that makes us who love him, a nut. And yes Ernest, I wanna hear you sing, Eatin’ Goober Peas. Ernest T is such a nut (to quote Barney) whenever he shows up in town you know it’s going to be good. My fav. returning bit character by far! The guy was out of control and completely wild! I would have loved to have seen more of him on the Andy Griffith Show, he made the best show ever even better! I agree. It would have been great to see more Ernest T. It’s a shame they couldn’t figure out some way to spin him into at least a few more episodes. With Ernest T., the producers were a bit unsure of direction. To their credit, they took a brilliant chance as they were riding a very fine line with the existing model of the show. Ultimately, Ernest T was a character deemed as being tricky, and perhaps too risky for the show. 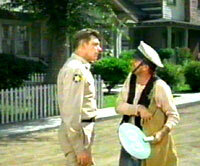 Note that he was brought back for a sixth time in “Return to Mayberry” in 1986. I just wanted to add that my favorite episodes are all five Ernest T Bass ones. And I was SO happy to see him again in the movie!! Whenever I need a laugh, I go to one or all of the episodes. I guess my favorite is “My Fair Ernest”. Thank you for honoring your talented Dad’s memory with this wonderful website. In the talented hands of Howard Morris, Ernest T. Bass became an American television icon on the level with Frank Gorshin’s Riddler and Michael Dunn’s Dr. Loveless . . . used sparingly (like a rare condiment) and welcome when making an appearance. Any other actor would’ve made Ernest T. a one-note character. But Morris made him not only wild, but dimensionally wild. You really never knew what Ernest T. would do next. 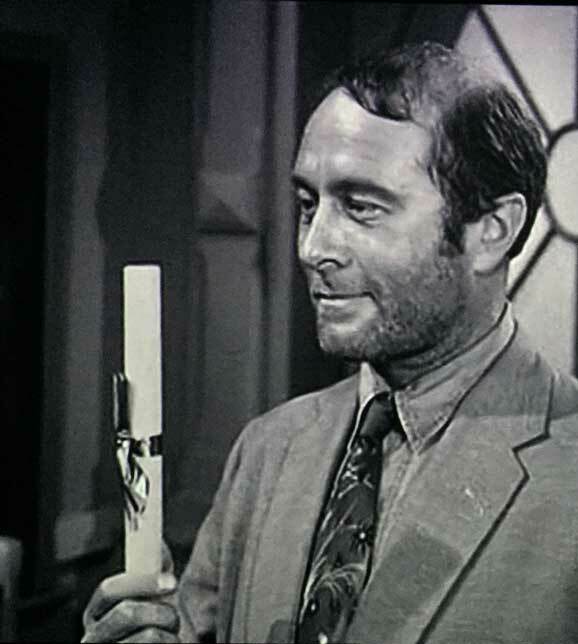 If an episode had been written where Ernest T. managed to get elected Mayor of Mayberry I would not have been too surprised. He was a genuine maniacally natural force, and he’d hold my attention (and the audience’s) from sun up to sundown. Great comment, Michael. I agree, especially with your comment about being “dimensionally wild.” I hope you checked out the “It’s Me!” link on our menu bar. Howard goes in-depth as to how he developed Ernest T. Balance was key. A grueling process. Your father was a great entertainer who made (and is still making) people laugh. My wife (Sherry), son (John) and I had the pleasure of seeing your dad in Pigeon Forge, TN at a show with Don Knotts a few years back. He was great – came down the aisle of the theatre dressed as Ernest T, throwing sponge rocks from his sack. He spoke at length with the audience, sang his famous song (Charlene’s wooing song) and entertained questions. I built up my nerve, raised my hand and as the microphone was passed to me I knew what I wanted to bring up. I told him that I once saw him in an episode of Bay Watch. He said yes – and that he was actually in two episodes. The audience roared with laughter and he laughed with them. Then he asked me what my question was and I asked, “Did you like being on the show?” He laughed again and said “Well yeah, but this is a family show!” The audience laughed some more. Then the show moved on. I thought it was great – he had brought so much laughter to me over the years and I was able to make him laugh. A golden moment. After the show I got an autographed picture of him (paid $5 for Parkinson’s research) and got to tell him that I really enjoyed seeing him as he signed the photo. Lost my dad three years ago, he was 78 – I know you miss your dad a lot. 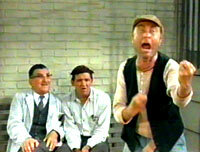 He told the audience that he was only in 5 Andy Griffith episodes as Ernest T, “but they were good ones.” Amen to that! Great thoughts, Kenny! I love hearing first hand accounts. I was in Pigeon Forge and remember that show. It was fun. Howard had a unique spark dealing with audience questions & answers. Your Bay Watch question was great! Your description above is a glimpse into the real Howard Morris. Howard had quite a long line of fans after the show, so I’m glad you got the autographed photo. Yes, I miss my pop beyond words. I’m sad to hear about your dad. That loss is tremendous. The pain never really goes away, but the memories help to soften the blow a little. Just finished watching Ernest T. in the Mountain Wedding episode. I wish I had known he was with Don Knotts in Pigeon Forge, I live in Knoxville and would have loved to tell them just how much that show and their characters have meant in my life. I’m sorry for the lose of your father and Andy Griffith. I do think they should have given Howard his own show, after all the Beverly Hillibillies was a hit. 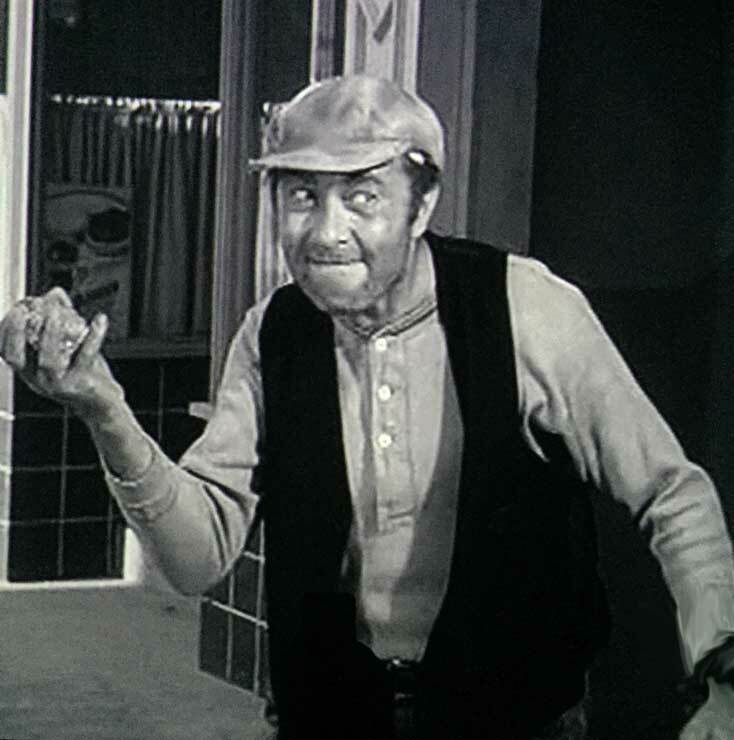 The episodes of Ernest T. Bass were among the funniest in the show’s history. It’s hard to believe that he was only in a few episodes but those were some of the most memorable episodes ever. I loved when he wanted to steal Charlene from Dud and wound up with Barney. I loved when he wanted to go to school. His character was one of a kind. I was just watching reruns of The Andy Griffith show, the tributes to this great star who recently passed. 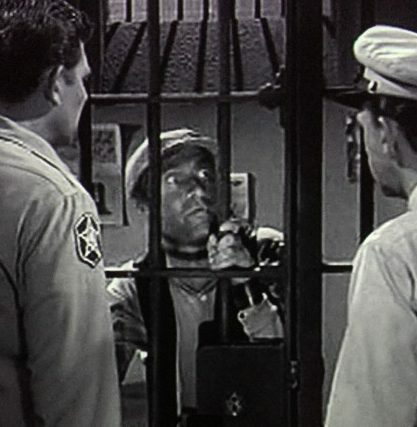 All of the characters are so funny, but Ernest T. Bass was so loveably crazy; I laughed as though it were the first time I saw the uniform episode. He was really very cute, even with the dirt and scruffy whiskers. I wonder if the modern day video games with the little rock-throwing characters were inspire by him? Are you related to the Darlings of NC? 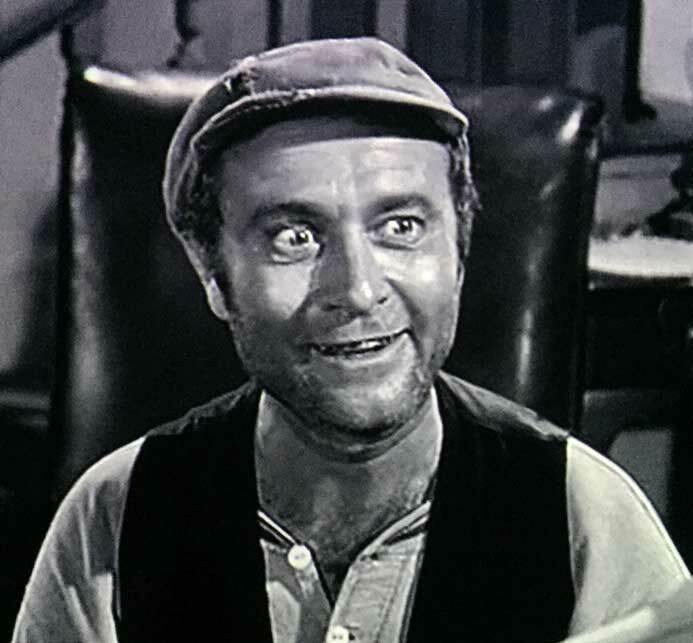 I am a teacher and recently taught a student who slightly resembled Ernest T. Bass in looks, but his mannerisms and facial expressions were spot on! It was very hard to keep a straight face sometimes watching him in class. 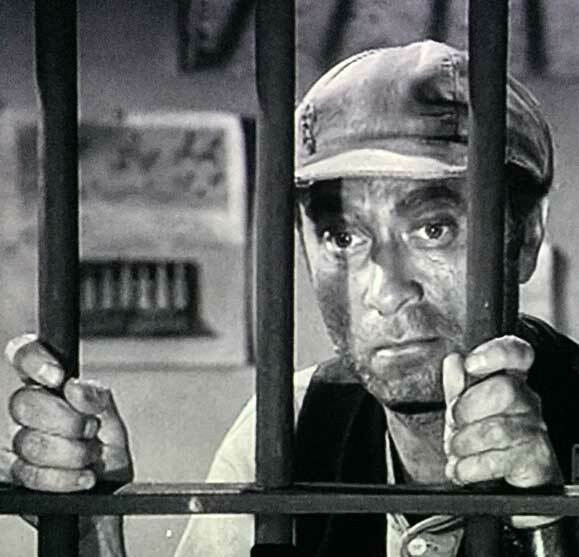 I think Ernest T. Bass was a lovable miscreant…he broke rules, broke windows, and was a simple person, but he was not really mean on the inside which made him quite a likable character. Ernest T. was utterly relentless. No matter how Andy and Barney tried to tame him, it was impossible. That was how I knew that rapscallion was always going to come back around with something dastardly to laugh at! I am surprised to read that he was only in 5 episodes! I reckon I’ve seen so many reruns over the years that I just thought Ernest T. was ALWAYS waiting around the corner, ready to pounce! I sure would like to know how Howard had so much springy physical energy. He was Mayberry’s version of Tigger! Rick throwing, giggle-filled, hop-jumping with a little giddy-up in his hitch. Ernest T.!! When he came town wanting to meet women and Andy and Aunt Brea tried to teach him some manners so he can pass off on that high society snob! Classic! Then when he danced with the beautiful Ramona and ran off with her!! Also when he decided that Charlene Darling should be his bride and Dud Walsh’s it wa priceless. They dressed Barney in full wedding dress and veil and Ernest T kidnapped Barney instead of Charlene! I laugh just thinking about it. My cousin heard from some of his relatives up in the mountains outside of Mayberry and he told me that Charlene Darling did end up divorcing Dud after catching him behind the Mulberry trees with Idelle Bushy and Ernest T did romance her into a weddin….by a preacher too…to make it legal! Romina was devastated and moved to Mt. Pilot he said. They have a son and named him Briscoe after her dad. He said Ernest T and Mr. Darling and the “boys” are still feudin about the weddin and Mr. Darling has spent alot of his small fortune he came into replacing brokin windas from rock throwin by Ernest T.
They have a small hand built cabin just up the fork and over the General Lee bridge. Rumor has it in town when Clara told Otis about the weddin he went sober…….on the spot!… and hasn’t had a lick since! Ernest T and Charlene got a congratulations post card from Malcolm , and Ernest T said he still hates that “Englishster” and still wants to “whip the fire out of him” for takin his job in town. When I hear more from my cousin Butch I’ll keep ya’ll informed. MVP – thats me ! I like Earnest T. ! I don’t know why, but I can’t lie – there ain’t nothin in the woods like an Earnest T.. I love his voice, his comedic timing. He is just hysterical ………as Barney would say he is a NUT! It is too bad that Sheldon Leonard the producer at the time of Mayberry did not give us all more episodes with Ernest T. I think the money folks-Leonard and the network were a little “scared” of his character and did not know if he was a” fit” for the show as a regular character in america at that time. To be honest, maybe we all would have tired of his over the top goofiness if he would have become a regular…who knows? The show had already gave us all soo much as it was. I think the timing of Ernest T was the perfect ingredient at the time and the entire recipe was just perfect for the series during the time it ran and for the now reruns…. I tried tuning a partial empty 1 gallon gas can and seranading like he did for Charlene , but I caught one on the jaw for it! Darn you Ernest T! I laughed so much, because Earnest T Bass laughed so much. Those expressions that he would make and the way he jumped around ….was exactly what I needed to see….especially on days that were not going so well. He and Barney were the funniest ones on the show to me….and Gomer Plye !!!! Did Howard also play a cable salesman or tv guy or something like that in one of the Andy Griffith episodes. Earnest T Bass. Was the best!! I’d like to point out a flaw in the earnest t bass character. If you remember in mountain wedding, earnest t bass was throwing rocks into the darlings windows. One of those rocks had a lengthy note attached to it which sheriff Taylor read aloud. Now a few episodes later earnest t bass wanted to learn how to read and write and the sheriff had to basically start him from scratch! Maybe someone else wrote the note. People did that back in the day. Not everyone could read you know. Just a thought! Absolutely true. I know someone today who can’t read or write, (if you can believe that) but he has his wife write notes for him. Now, as far as consistancy of character in the Andy Griffith show. Who cares, it was, and is quite simply, the best sitcom ever made. In my opinion. As far as Ernest T. Bass goes, five episodes in a show that ran as long as this one did, and he’s as popular as the Barney Fife character. That’s an amazing feat. They could’ve taught him to read, let him get a uniform, or taught him how to be a social butterfly on a monthly basis, and nobody would’ve cared. They would’ve still watched it. He was brilliant. Absolutely true. I know someone today who can’t read or write, (if you can believe that) but he has his wife write notes for him. Now, as far as consistancy of character in the Andy Griffith show. Who cares, it was, and is quite simply, the best sitcom ever made. In my opinion. As far as Ernest T. Bass goes, five episodes in a show that ran as long as this one did, and he’s as popular as the Barney Fife character. That’s an amazing feat. In a time when television was relatively new, and people were so happy to be so entertained, that they didn’t take the time to write a letter (something they actually did back then) in order to critique every aspect of a sitcom. They could’ve taught him to read, let him get a uniform, or taught him how to be a social butterfly on a monthly basis, and nobody would’ve cared. They would’ve still watched it. He was brilliant. I think the poetry he used was the key to the comedy, then it was mulitiplied by the delivery. Ernest T. Bass is hilarious! He always makes me laugh, especially when he jumps on people and wraps his legs around them! Watch the episode “Malcolm At The Crossroads” sometime and you’ll see what I mean! He also has little rhymes he makes up that are funny! In fact, in the episode I mentioned, he quotes one of his rhymes! I feel he was one of the best parts of that show. His character really livened things up and he never fails to make me laugh, even after all of these years! your dad makes me laugh and I am crazy about him. his timing, his voice inflections, his mannerisms are done perfectly to show whatever character he is playing. his voice, facial ticks and physical movements are so overly simplistic that there is no doubt as to the type of person he is portraying. I especially love ernest t. — he is lovable to a fault and will always be my absolute favorite of all time. I hope that when I go to heaven, I will meet him! He truly makes me happy. His comedy is genius! Best thing about Ernest T.: never pretended (except when character called for it — “how do you do Mrs Wiley”) to be anything but what he was. Ernest was a simple man that had all he needed and needed only what he had to survive. He longed for love and to be accepted, but did not expect it to be given to him. He worked, or tried to work, hard to achieve what he wanted as demonstrated by willingness to join Army to get his uniform to impress Romina, and to go to school to get educated. Nobody, not Milton Berle nor Jack Benny, not even my favorite, Red Skelton, could have done math by stomping his feet or explained how to get opposum out from under a rock. David, thank you for keeping this website about your Dad, Howard Morris. 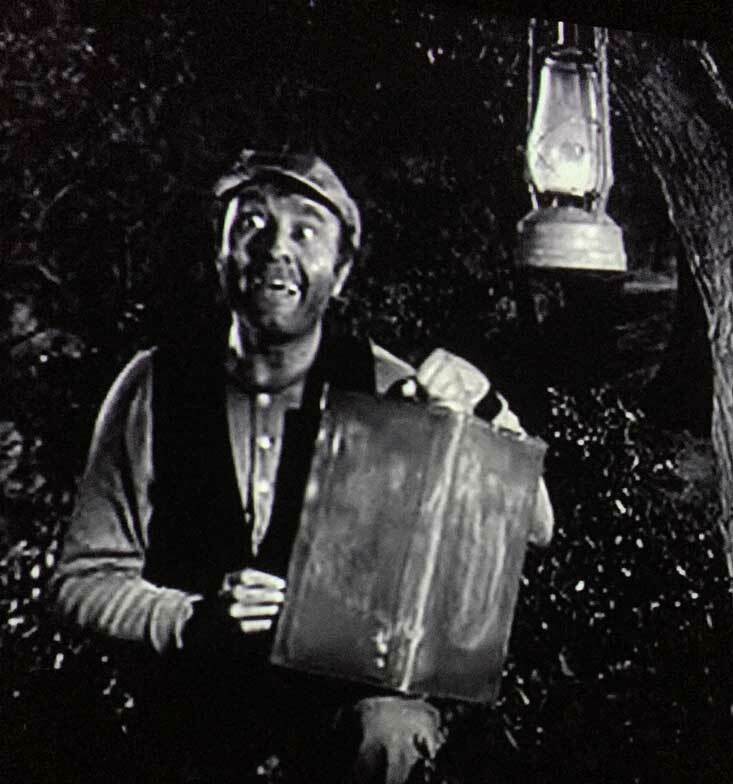 I have laughed for years at Ernest T. and I have don’t recall a character as beloved as Ernest T. Bass that appeared in only 5 epsiodes of a long running series. I don’t know how your Dad did it, but in 5 episodes over the course of several years, he created one of the most enduring and funny characters in the history of television. Wait . . . I think I can hear Briscoe, Charlene and the boys a comin’ ’round the bend! Your Dad made many a happy viewer David! Ernest T. was lovable because he represented the ‘goof’ in all of us. We wish we could cut loose and be just as sharp witted for lines and timing as ol Ernest was. He pulled off 5 great episodes being unique in each. His wit and delivery was extra funny because it was coming from an illiterate myopic country bumpkin who saw the world as his oyster and he was gonna eat it all – whether anyone liked it or not. Rules were for others but he had great fun in breaking them without hurting anyone, .. oh, he talked a good game, but never really intended to use his rifle or chuck a rock or brick at anything other than glass. His physical gestures and antics were spot on and no doubt impromptu. You would never know he grew up in New York by the way he ‘nailed’ that hillbilly persona, … he was a consumate pro and no doubt was a sponge when it came to absorbing people’s mannerisms, speech, and attitudes. I was extremely sad to hear of his passing, … Ernest T. will always be one of those characters you wish would never age and pass away, … but ya know, … I think the kid in all of us won’t ever let that happen! Howard Morris, …. you will be missed forever! It’s hard to put into words. I am 51 and grew up on the Andy Griffith Show. 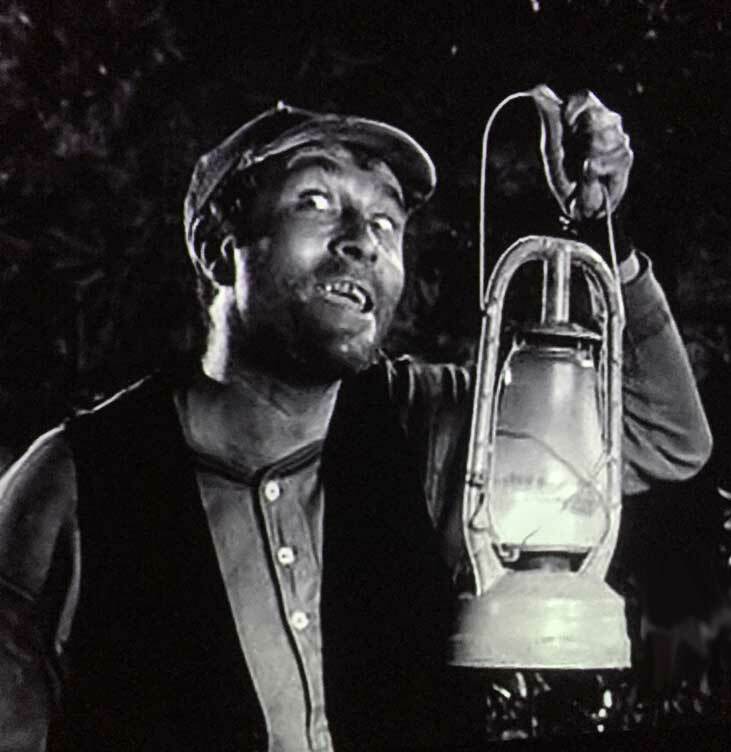 There was something special about Ernest T Bass–his smile, his speechk, his poetry. I just loved him! I try to watch every re-run of the AGS with Ernest T Bass on it. I wish I had have met your father, he was a good man, brought joy to so many, made so many laugh and smile. He was a gift, a treasure and brought so much to so many. Thank you for sharing your life, your father’s life and keeping so many wonderful memories alive. David, your Dad was simply brilliant on so very many levels. AND his brilliance remains so relevant! I saw something today which reminded me of Ernest T and I said to my husband, I must go to You Tube. And there he is in all his glory. I watched every.single.video and laughed and smiled and missed him so very much. What a treasure in every since of the word and meaning. Love to your family. Can anyone tell me what does the “T” in Earnest “T” Bass stand for if anything at all? I was laughing so hard tonight watching the Dud marries Charlene episode and listening to the original rapster, Ernest T Bass, as he serenades Charlene. I’m still laughing 30 minutes after the show – it was so funny. I know what the best part of your Dad was – that smile. You see it, and you can’t help but smile yourself. You know what’s coming – you’ve seen the episodes a ton of times, but the timing and delivery after that smile will always be priceless! For me I don’t know if I would call it laughter, as much as intrigue. From my earliest memories of watching television as a child, Earnest T. comes to mind and will always be one of my favorite characters. The funny thing for me is that I love watching him as much now as when I was a child. I also remember thinking after seeing him, wow, where did they find this guy which is just another tribute to his great character skills and creations. I finally saw the reunion show from the 80’s, and thought about how memorable he made those early shows he was on. Oh my goodness , I love Ernest T! He was one of the funniest characters ever. I laugh as much now as I did as a kid. I also had a huge crush on him and I thought Charlene was crazy to stay with homely old Dud! Whenever an episode is airing someone will call out: Lisa! It’s an Ernest T episode! LOL. After working all day I always come home and turn on TV land and watch one of my favorite shows which is the Andy Griffith Show. No matter what kind of day I had one look at Ernest T and hear him talk it is laugh heaven. You can take all the garbage on tv today with its blasphemy against God, immorality, and foul language and BURN them. Give me the old time shows that anyone could watch, enjoy, Laugh, and not be offended. It’s funny. I am 60 years old and have all of the 159 black and white (the best ones)Andy episodes on VCR–recorded in late 80’s when I finally could afford a VCR. Usually there’s not a day that goes by that I don’t use one of “T’s” line around my wife 0f 43 years. 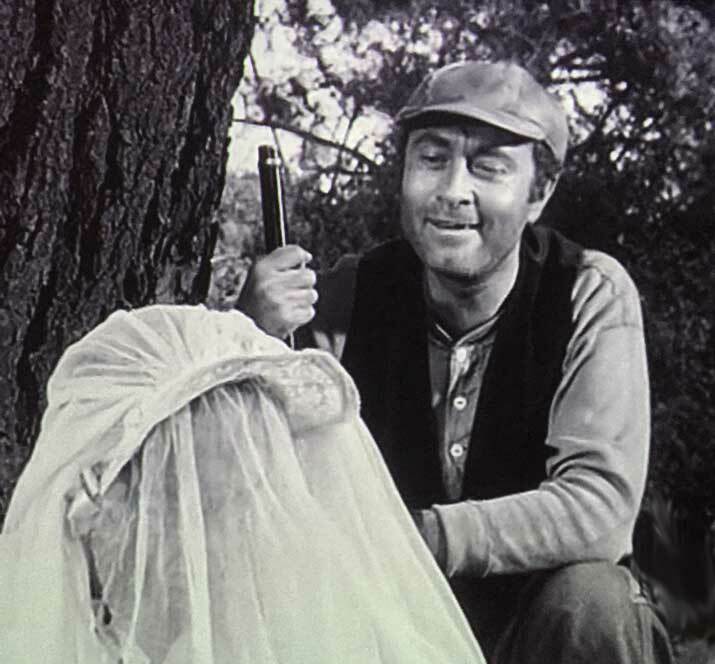 One of my favorites, when I’m trying to get on her nerves is, “Aggravating, ain’t it?” That always gets me “the look.” As a special education teacher, my favorite episode is “The Education of Ernest T. Bass.” I have even showed this to new teachers to show them what they will most likely encounter at one time or another. The goal of the lesson is Helen’s patience as a teacher. Howard Morris was a great actor and a great man. Thank God we were given his five episodes to watch, and laugh as hard today as we did 50 years ago. God bless you for having this website. Ernest T was such a great actor !! The way he used his eyes to express will never be matched!! His smile alone was enough to make you smile! !.He had a God given talent that only comes around once in a hundred years.. I have loved the Andy Griffith Show all my life . I have been to Mayberry, have the games . the DVDs , and even a limited painting in my living room. Whenever I have a rough day I go straight to the tv and put in Andy Griffith show. It calms me and soothes my heart . If only the world was like that now we all would be in a better place .. You are such a lucky man to call ” Ernest T Bass” your father. Thanks for this website and God bless. returns …now my grandchildren watch these classic episodes with me and they cant believe how wonderful a place was. My favorite episode is one called “My fair Ernest T.
It is just the funniest episode along with”The Pickle story. Your Papa was Awesome…God Bless him. I’m sorry about the loss of your father. I’m watching him right now on Andy Griffith. He is trying to join the army. Ernest T is the funniest character and I love the episodes that he is in and make it a point to watch them. He’s a riot. I’m glad you have this page. I was wondering who played him and came across it. 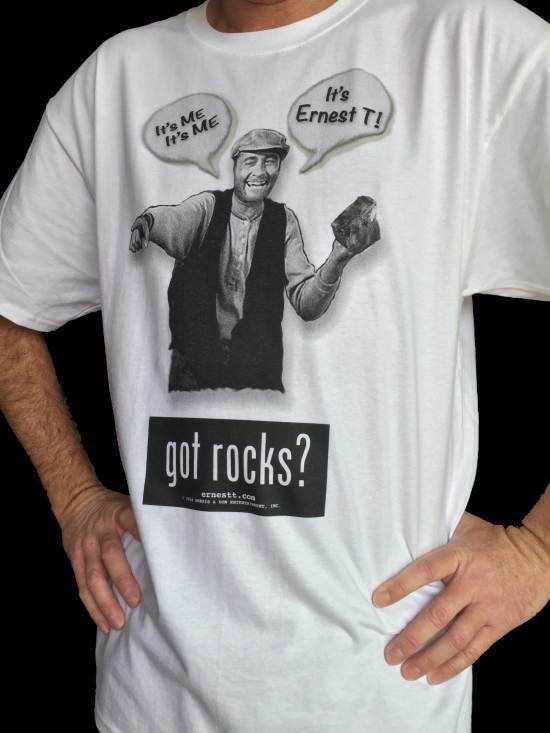 I just loved Ernest T. I would have been laughing if I had been in the show with him. Oh poor Ernest T isn’t getting his uniform. Ernest T. Was very impulsive and childlike, so that even his cruelest behavior seemed sympathetic because the viewer could see that he really didn’t mean any harm. He was just a lonesome hillbilly looking for love. He never thought things through so he could never see the long term consequences of his actions, so for him, joining the army meant getting a uniform and strutting around impressing women. He never even considered the fact that he would suffer the ordeal of basic training, or live in a barracks, or take orders! He sure did shake up things in Mayberry. I was watching the “Education of Ernest T. Bass” episode. Noticed in the beginning of the episode he referred to the girl he was courting as Romina. Because he is polite to his besters and he whoops up on his worsters! He is the best rock thrower I ever seen, and he passes potatoes, he doesn’t heave ’em.